BOULDER, CO--(Marketwired - October 10, 2014) - SolidFire, the leader in all-flash storage systems built for the Next Generation Data Center, has been recognized as one of Outside's Best Places to Work 2014. SolidFire was ranked #36 out of 100 companies selected nationwide for encouraging employees to lead active lifestyles, being eco-conscious and prioritizing giving back to the community. Each year, Outside recognizes the top 100 companies in the United States that help their employees strike the ideal balance between work and play. The 100 companies on the 2014 list made it through a year-long vetting process overseen by Outside's independent research partner, Best Companies Group. The complete list of Best Places to Work winners is featured online at www.outsideonline.com/dreamjobs. "Being based in Boulder, Colorado, we embrace the active, outdoor culture of the area and are committed to building an innovative and enriching work environment that offers a fulfilling experience both inside and outside the office," said SolidFire's Founder and CEO, Dave Wright. "We grew our global employee base by 150% over the last 12 months and continue to hire top talent who have a passion for their work and the desire to revolutionize the storage industry." Headquartered against the foothills of the Rocky Mountains with world famous hiking, biking and climbing routes right outside the door, SolidFire teams meet weekly to get out and enjoy the outdoor playground that is Boulder, Colorado. Weekly hikes and rides are the standard, coupled with Wednesday morning boot camp workouts in the park and the company's softball and kickball teams. SolidFire also offers an Alternative Transportation Incentive Program to encourage walking or biking to work. 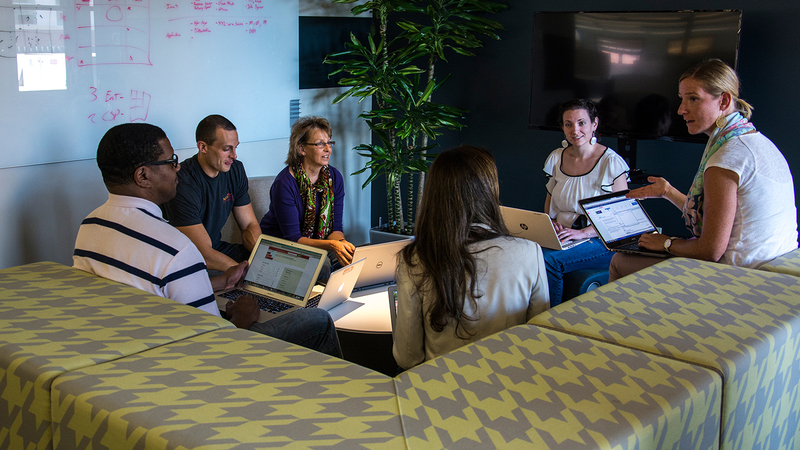 To view and apply for open positions, visit SolidFire's Career Page. Outside, in partnership with the Best Companies Group, assessed the policies, practices and demographics of hundreds of companies, and went straight to the employees to hear about factors like corporate culture, role satisfaction, work environment and overall employee engagement. Companies on The Best Places to Work list set the standard for workplaces that cultivate a comfortable and collaborative workplace, enable their employees to enjoy the great outdoors and take pride in their roles in the community and the environment. SolidFire was also recently named a Top Workplace by The Denver Post and has been awarded a Best in Biz Best Place to Work, an Emerging Company of the Year finalist, and a recipient of a 2013 Stevie Award for Most Innovative Company of the Year.